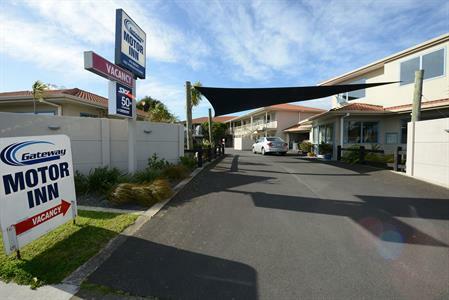 Gateway Motor Inn is located in Mount Maunganui and is close to 2 golf courses, Baypark Stadium, sports grounds, airport, shopping mall, beach, RSA & Cosmopolitan Club, Port and Harbour Bridge. 17 modern units all with tea/coffee making facilities, microwaves, free wireless internet in a fun and enjoyable atmosphere. Many units with kitchenettes, spa baths or double spa baths. Many units with 32 inch wall-mounted flatscreen LCD TV's. Off street parking provided at no extra cost. 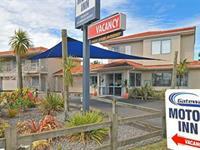 Corporate and group rates available.